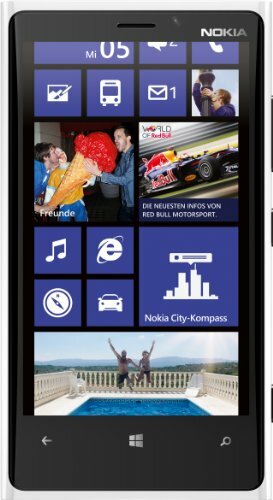 Enjoy streaming multimedia, making calls, and much more with the Nokia Lumia 920 Smartphone. 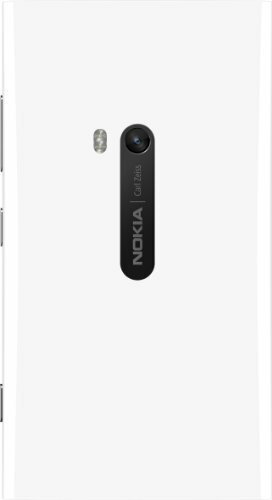 Sporting a 4.5-inch PureMotion HD+ capacitive multi-touch screen with a resolution of 1280x768 pixels, this Nokia Lumia Smartphone delivers outstanding visual output and simplifies operation. Moreover, the 1.5 GHz dual-core Snapdragon S4 processor incorporated in this smartphone facilitates high-speed data processing. Comprising personal information management tools such as the calendar, clock, and so on, this Smartphone helps you organize your tasks. Supporting WLAN IEEE 802.11 a/b/g/n Wi-Fi and Bluetooth 3.0 connectivity, this smartphone facilitates wireless communication. You can capture the memorable moments of your life, as it is equipped with an 8.7 MP camera. What's more, you can find your way around unknown regions as this Nokia Lumia phone provides offline maps and turn-by-turn voice guided navigation.